Surprisingly, the tiniest leak in your roof can cause a good amount of damage to your home. If you go a long time without repairing small roof leaks, it can cause mold and mildew to grow in your home. Not only does this look unappealing, but it is also hazardous to you and your family’s health. That’s why finding and fixing roof leaks as soon as possible is important to keep your home safe. 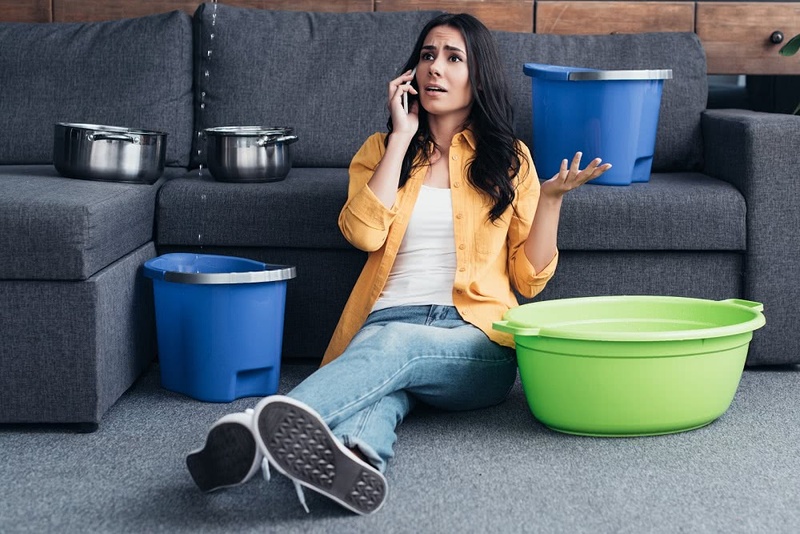 If you’ve been wondering “is there a leak in my roof”, we have the solutions to help you find out where it is and how to fix it. Many roof repairs only take a few minutes, and honestly, the hardest part will most likely be tracking down the leak. With a few tips and trick, you may be able to stop your small leak from turning into a big problem. Although, if your leak has been present for a while, it might be out of your hands to fix. Sometimes when leaks have caused extensive damage and there have been prolonged roof problems, it may be time for a roof replacement. A trustworthy and experienced contractor will be able to access the damage done, and provide you with a new longlasting roof. To be sure your leak doesn’t reach a point of unfixable damage, follow this guide to stop your leak today. Mildewed odors in one of your rooms. Water stains on the ceiling. Sagging or bulging spots on exterior walls. Damaged, missing, or warped shingles. These are all signs that mean a leak is present. Unfortunately, even when you spot these red flags, it doesn’t tell you exactly where the leak is. To find out exactly where a leak is coming from, it will take some slight investigating. Grab your flashlight and head upstairs to the attic for this next step. Be careful as you step around the attic so you are not putting holes in your ceiling. 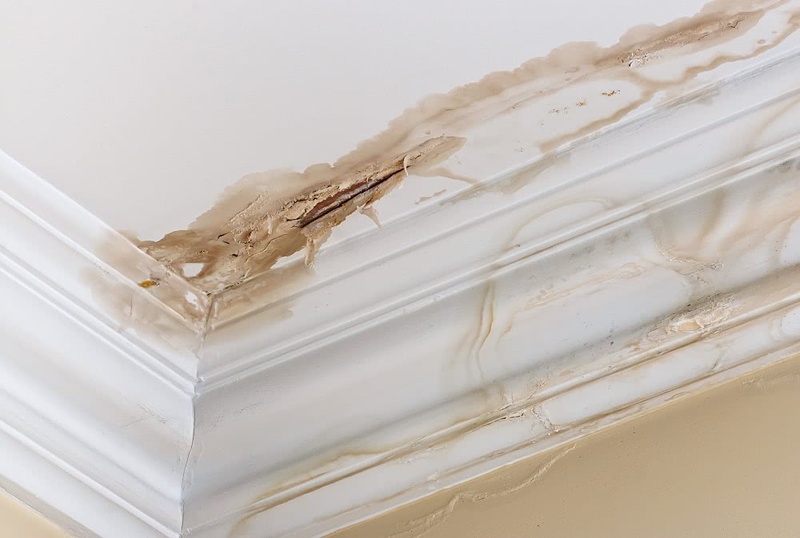 Water damage can soften the surface of your ceiling so you want to be sure to walk slowly and look around to avoid any injury and further damage to your home. 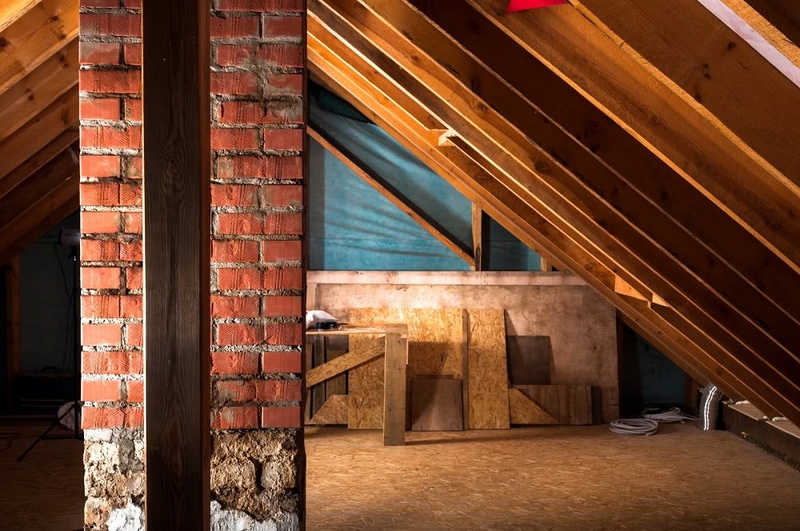 Once you’re in the attic, move the flashlight over each area of the roof, searching for mold, water stains, or dark black marks on the sheathing and rafters. If there is no attic where you live, check the roof for damage. A leak in a flat roof is just as easy to patch and stop as a shingle roof. If you are renting, and have no access to the roof or attic, contact your landlord right away. They should be able to contact a contractor that knows how to seal the leak or they may be able to do a D.I.Y roof leak repair. Some of the water stains you see may have been caused by exposed nails. If this is the case, you can fix this easily by clipping the nail with pliers. If that quick inspection led to no solution or success, then it might be time for a rain dance! Grab a friend or family member to stay inside of your home where you first spotted the leak. Go on top of the roof with your garden hose and spray down your roof section by section. Tell your helper to give out a shout once they spot the dripping water. Move very slowly one section at a time, and spend at least 5 minutes in each section. 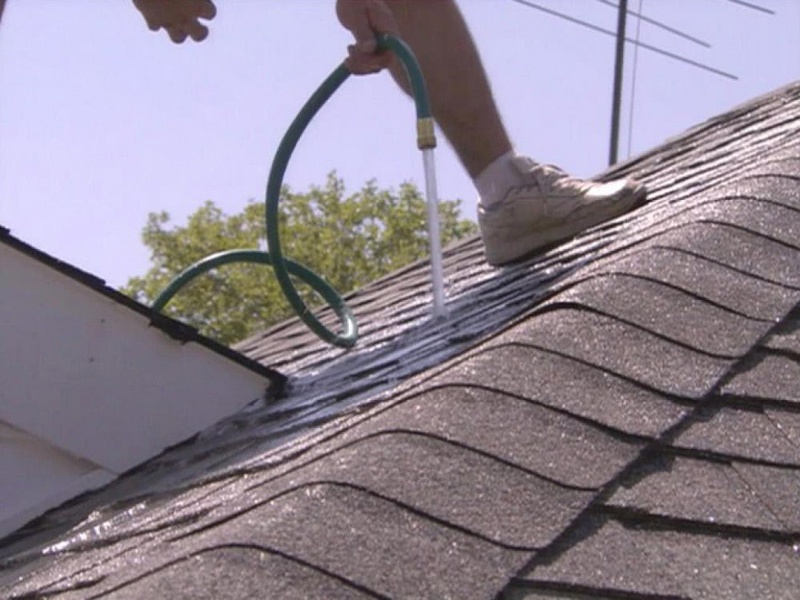 If your friend sees the leak but you’re still unable to spot it, you may have to remove some of your shingles. Under the shingles, you should be able to spot an area with water stains, or rotting wood. Depending on where your leak is, you might be able to fix and stop it yourself. If the damage is extensive, don’t get worried, you’ll always be able to call a dependable contractor to help you out. If you call a contractor, they should be able to give you an estimate on replacing your roof before they start the project. If there is not to much damage, or you need a temporary fix, you can tackle this project by yourself. Make sure you have the right tools and the skillset before you begin to make repairs to your leak. Here are a few tips to follow so you can know what to do as a roofing repairman! 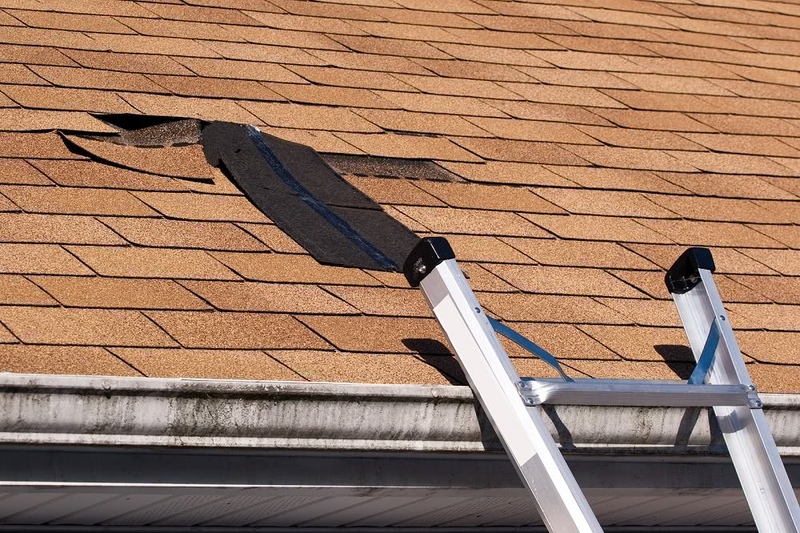 Replace Damaged Shingles: If a leak is coming from a shingle that’s been damaged, remove the shingle and scrape up the roofing cement that is still there. Apply the new shingle with fresh cement, then nail the shingle in place over the exposed area. Reapply the caulk surrounding vents, windows, and your chimney: If you found a leak around any of these parts of your house, just try caulking around the flashing. Doing this will fill up gaps that have appeared since the last roof replacement. Fix Vent Boots: If you have a damaged vent boot, it can let water in and cause damage. If the vent boot you have in place is fine, it might be time to replace the old screws with new rubber-washed screws. This keeps watering from seeping into the screw holes. Some roof leaks are far beyond an easy do-it-yourself fix. Complex roof leaks can cause a great deal of damage and are a huge threat to your home. A reputable contractor should be able to help you figure out the extent of the damages and what causes it. If you have been dealing with a leaking roof for a long time, don’t hesitate to call a contractor. Getting your roof repaired as soon as possible will help stop any further damage; saving you lots of money in the future.